These last four years I was fortunate enough to come to know Dr Simon Busuttil quite well. He is an honest man and a good leader. Soft spoken he truly is, but determined, strong and principled he is much more. I have heard of several examples of people who went to speak to him lobbying him to sanction, if in government, things that were done illegally. I know of no one who was promised that a blind eye would be turned on illegalities. It is true that such an attitude cost him votes. But does the country need a leader for who lusts for power so much that he stops at nothing to achieve it? Does the country need a leader who bribes, corrupts, buys or unethically cajoles the support of different special groups? Some would cynically say that if that is what needs to be done to achieve power, so be it. I am certain that Simon Busuttil is not among such politicians. Unprincipled people can succeed but their success has clay feet. Sooner, more than later, their corrupt system will implode. History is full of such examples. Was Busuttil a weak leader? Definitively not; a principled leader is never weak. A principled leader is, by definition, a strong leader. I always admired his determination and his ability to take tough decisions as soon as a particular case needed such decisions. Busuttil wanted to introduce a new way of doing politics. Instead of holding all the cards close to his chest he placed them on the table for all to see. I refer to the many policy documents that were published during his stint as leader of the Partit Nazzjonalista. One document after another document were published outlining clear and well-worked out policies that the country needs more than a parched land needs water. Busuttil cut his political teeth at the European Parliament. He explained this to me when I interviewed him a few days before the election. In the European Parliament no one has the majority so reaching an honourable compromise and achieving a consensus is the normal way of life. In Malta adversarial policies seem to be more popular that compromise or consensus. 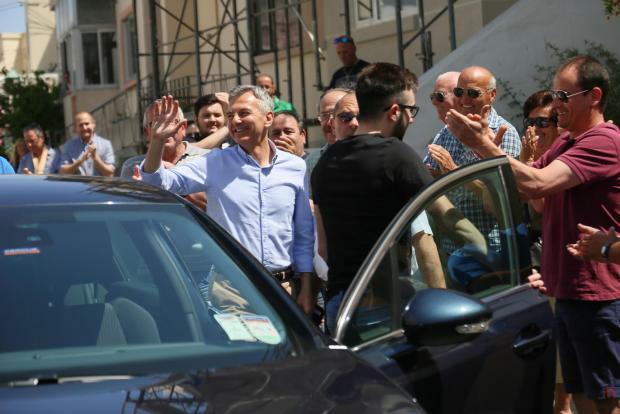 Adding insult to injury, the PL's campaign to describe Busuttil as negative – the antithesis of the real Busuttil – stuck in the mind of many voters. Busuttil, quite naturally is not perfect. He had his limitations and made mistakes. But on balance his positive attributes immensely outweigh the limitations. When the election was lost he immediately accepted the political responsibility and resigned; another sign of a principled leader. Many things have been said trying to explain why the result went the way it went. I will not discuss further. I think that a very important factor that contributed to this defeat is that many voters were not ready for his new style of making politics, that is politics without a lot of patronage and based on the common good more than on sectorial or individual good. Perhaps more than lighting a torch he sowed a seed; a very important seed that he/she who comes after him has to nurture well. I have no doubt that history’s appraisal of Simon Busuttil will be more positive than the voters' verdict.